Heat pumps are now a long-established technology in the Canada. The general level of understanding on the part of the installers and wider industry has come on in leaps and bounds in recent years — but for the homeowner they remain quite difficult to understand. This results in a huge reliance on the installer to give correct advice, which means finding a good installer is absolutely critical to the success of the entire venture. 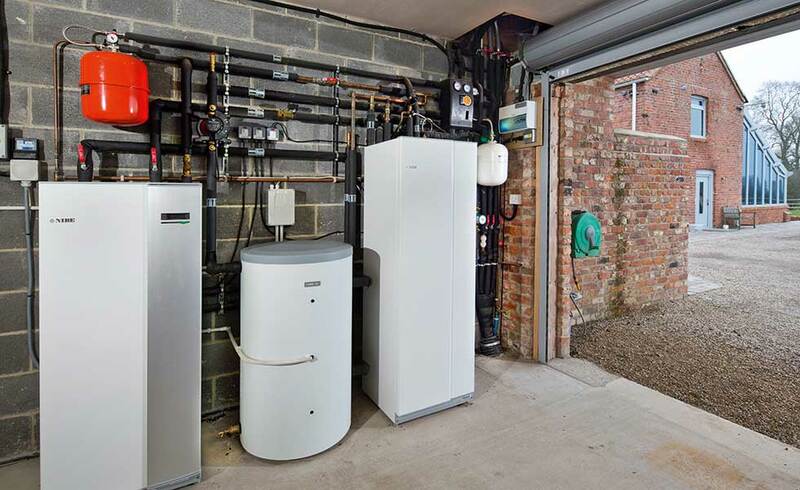 For the most part, heat pumps (both air-source and ground-source) are established as the go-to solution for those off mains gas looking for a renewable alternative to oil. And quite rightly so. They are cheap to install (relative to other renewables and not too much more expensive than oil boilers), are ‘clean’ and, above all, are a fit-and-forget technology. Not only has the general expertise among installers improved but the Government incentives have moved in their favour, too. The general problems with heat pumps have been in poor design installation; effectively, the wrong heat pump in the wrong house. As a general rule, heat pumps work best when flow/return temperatures are lower than the 60°C to 70°C range required for older radiators and, of course, hot water. But for anyone building from scratch off mains, they should be a serious consideration. Whatever the motivation, it is clear that heat pumps are here to stay and will continue to be sold. It is also clear that the demise of the RHI scheme will see a shake-out of the – shall we say – less than committed suppliers. So how do you get it right, and what are the latest things to look for? Until relatively recently inverter heat pumps were the exception. Non-inverter heat pumps were the norm and they operate by being either on or off. Inverter heap pumps act more gradually, increasing or decreasing output to meet the prevailing conditions and demand. Each time a heat pump starts up it consumes energy in balancing the pressure in the system and bringing the refrigerant to the right temperature before the heating process can start. An inverter heat pump can operate 24/7, never or seldom switching off, eliminating the losses caused by stopping and starting. A continuous 24/7 operation may seem counterintuitive to those of us used to being in tyrannical control of the boiler, but some manufacturers are claiming up to 30% reduction in running costs by using this method of operation. It also enables effective remote control; using an App on a smartphone or tablet to adjust the temperature in the house rather than just simply switching the heating on or off. The effect of an oversized heat pump is similar to that of a non-inverter heat pump; because it is outputting more heat it needs to operate for a shorter period of time to reach the desired temperature — this is called short-cycling. Equally, an undersized heat pump will be working at its maximum, and least efficient, output for most of its operational time. Getting the size right is therefore critical and the problem is that the standard plumber is not equipped to calculate what the right size is — they have never had to do it because a conventional boiler is far more tolerant. It needs a specialist heat pump installer, backed-up with good manufacturer software, to get the calculation right. Judging an installer’s attempts at sizing your heat pump correctly is a great way to start understanding whether they are the right installer for you. Bivalent is a bit of jargon for a system with two heat sources — a heat pump and a conventional boiler, for example. “We can design a bivalent system to get 85% of the RHI with 50% of the capital cost,” says Max Halliwell, Business Development Manager at Mitsubishi Electric. The ideal system would be an air-source heat pump (low capital cost) that operates in spring, summer and autumn, when the weather is mild (highest efficiency), and a conventional boiler (also low capital cost) that operates in winter (at good efficiency). Heat pumps now have weather compensation as standard and so can be programmed to shut down when the outside temperature drops below 7°C (when it starts to get inefficient), and allow the boiler to kick-in. 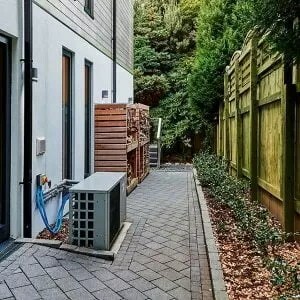 It is fair to say that heat pumps do not have the best of reputations. It is also fair to say (and supported by an Energy Saving Trust field trial) that most of the problems can be traced to poor installation and inappropriate use. The industry is dealing with the issues with solutions such as quieter machines, an electrical start-up load that means they could run on a solar PV system, better training for installers and end-users, and with technological innovation. 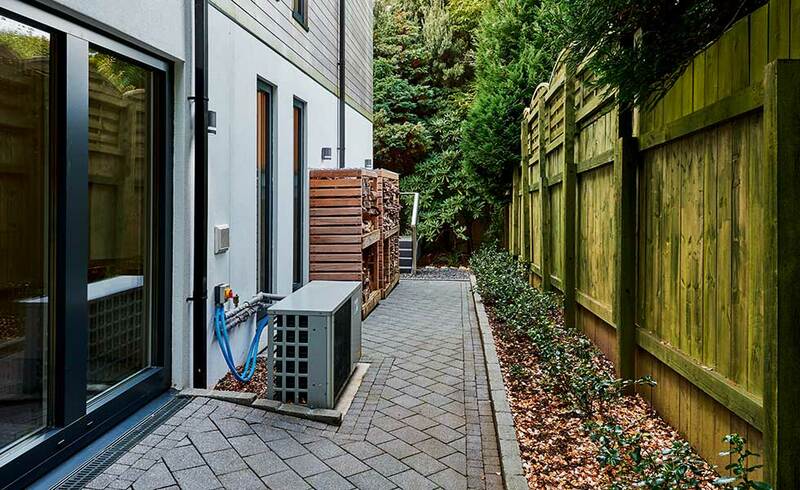 The industry wants heat pumps that have wide appeal and that are justified in their own right, without recourse to Government support or to an emotionally motivated decision. Looking at the heat pumps now on offer and the competence of the dedicated installers, they seem to have achieved it.